Here at Yum Yum Videos, we know that instructional videos are a fantastic tool for taking your user’s experience to the next level. With them, you can guide your customers through any complex situation regarding your brand, your product and its working method – or even the purchase process! With powerful visuals and an engaging script, instructional videos are perfect for any business. Let’s take a look at this example, from Walmart! By choosing to make an animated instructional video, Walmart created a fun way to communicate how their online shop works. It’s fun and light, but above all it’s informative and provides every bit of information that their clients need to know. Let’s go through the basics! How to make the perfect instructional video for your business? 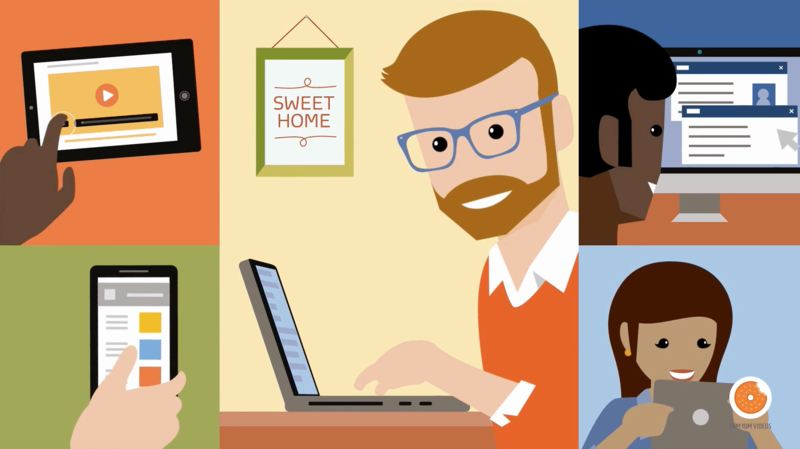 You can use them as employee training tools: “Education starts at home”, just like everyone says, and in this case it’s true – educational tools can also benefit and improve your employees’ work! Boost your sales pitch: By including educational videos to explain any complex parts of your business, you can turn any pitch into the greatest one ever. You can also use them to explain how your product works ‘in action’. Convert your prospects into paying customers: By providing useful information to your prospects, you’re not only helping them – you’re also giving them even more reasons to trust your brand and choose your product for their purchase. You’ll position your brand as an expert in the field: When you take time to educate your audience and provide them with useful info, they’ll look up to you as the ultimate expert on that subject. If you’re planning to add this kind of video to your online marketing strategy, then you’ll need to know a few basic things before you start. No, we’re not kidding – not one bit. Before you do anything, you need to know your audience like the back of your hand: know their weaknesses and strengths, their goals and aspirations, and everything you can. Create buyer personas and analyze their demographic and psychographic information. Be as detailed as possible. If you do this, you’ll end up knowing exactly who you’re directing these videos to. This will help you set the correct tone and language for the script, the level of information that you need to provide for your specific audience – and even more important – this data will help you know what your audience’s pain points are, so you can help them solve those with your video! At least with video content! Depending on the subject you’re dealing with, your video length may vary – sometimes you’ll need a 2-3 minutes video, and sometimes you’ll need something even longer. But if your video is too long, it’ll eventually become tedious and your audience will stop watching – of course, you don’t want that! So try to keep it as short as possible: treat it like an elevator pitch. A video that’s 90 seconds in length will always be more powerful than a 10 minute one. If you feel like your subject is way too complex to explain in less than 5 minutes, include graphics and visuals that’ll help you explain the subject better and faster. Just like this video, made in motion-graphics style! After you’ve done enough research about your audience and their needs, you need to start planning your video. Planning is extremely important: without it you won’t know what steps you’ll need to take, or how you’re going to communicate your message. This is actually key for any kind of video, not just instructional ones! But, when planning for instructional and educational videos, the first thing you need to do is to establish the learning goals. What are the key takeaways for your viewers? Or, basically, anything they may need. Then, it’s time to make an outline for each video: create a list of all the topics your video will cover. You don’t want to forget any essential parts of the process! After you’ve done that, create a script, and identify which parts of the information may need a visual aid (like motion graphics, or charts of any kind). If you decide to create a live-action video, then you’ll need to select a date and location for your video shoot, and also an expert that will provide the information! 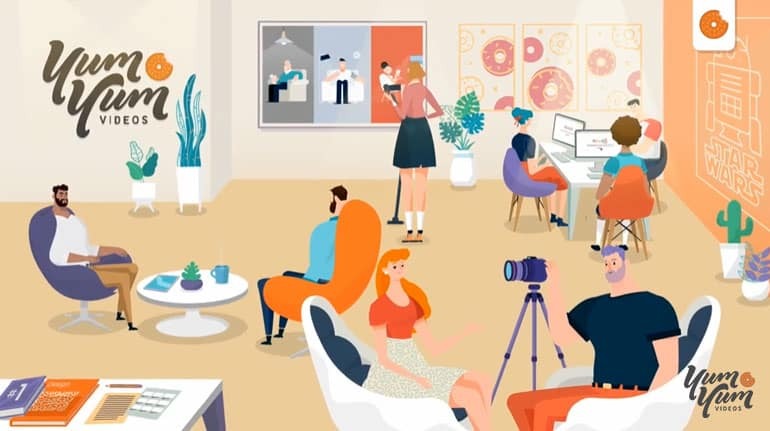 If you decide to use an animated style (like cartoon animation, motion graphics or whiteboard video), then you’ll need to find a professional animation team to help you with that. Whatever you may decide, you need to determine your budget, and select the best video production company! 5. Where will you publish your videos? Keep in mind the platform in which your videos will be seen! If you’re making a video for social media, like Instagram, or Facebook, be sure to make them in a 1:1 proportion (unless this is a video for your stories, in which you should make a vertical video). It’s also very important to tailor your videos for autoplay without sound, which is exactly what happens when your audience is scrolling down their newsfeeds. But if you’re planning on having this video on your website (which is a very smart choice, because that’s one of the main places your audience will look for help), keep it horizontal, ‘YouTube style’, and remember that in this case, audio narration or sound effects can be very useful. Instructional videos are everywhere! From cooking tutorials to any kind of online course, it seems like people can’t get enough of them – and this is simply because everyone loves to learn new things. Especially if this learning comes in the form of interesting, high-quality videos. So it’s time to jump on this bandwagon and start making instructional videos of your own. You’ll only need two things: an idea and a professional production team to help you get started. At Yum Yum Videos we can help you with that, so if you’re ready to create the perfect video for your brand, let’s work together!